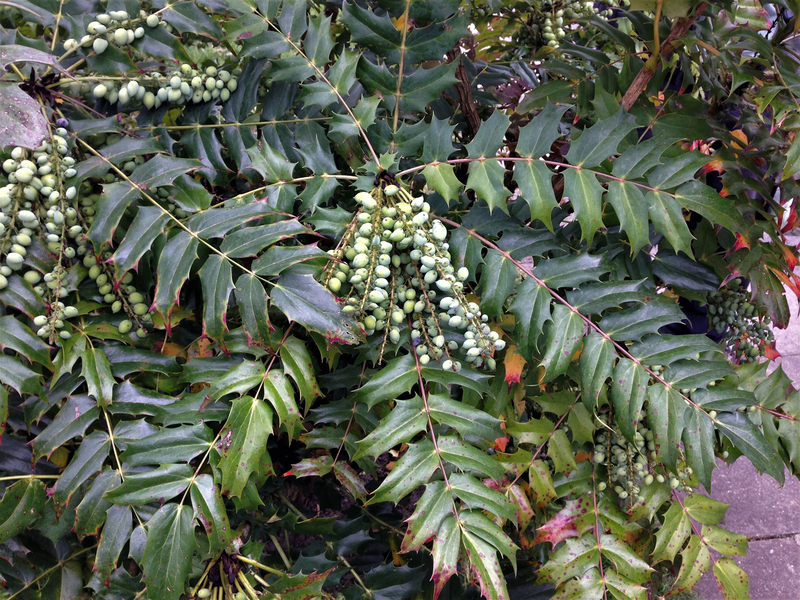 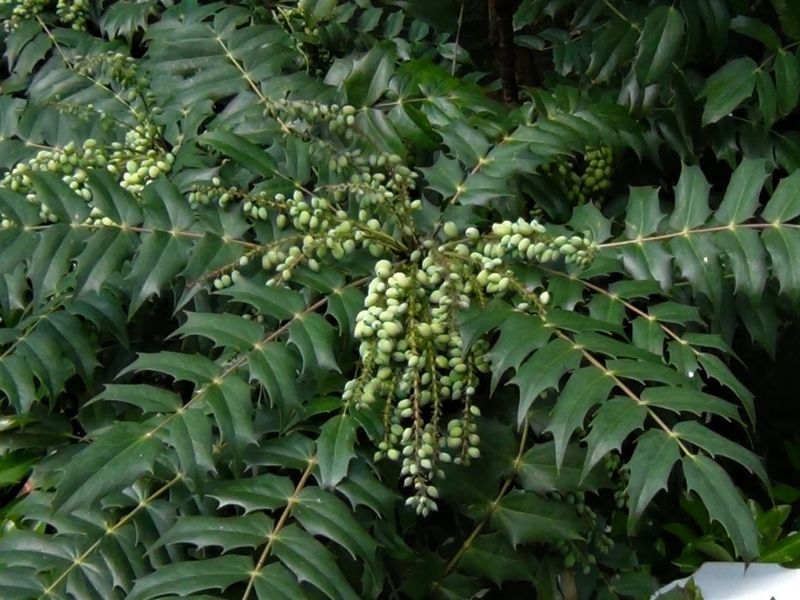 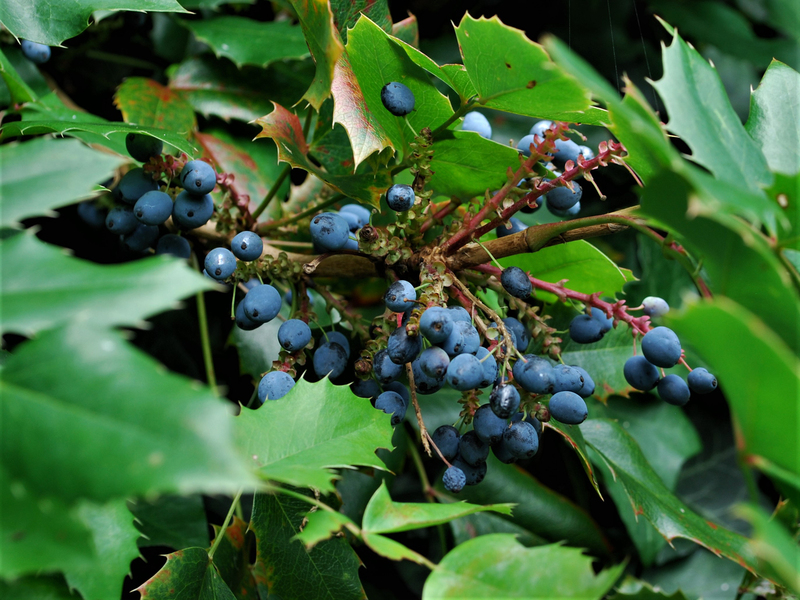 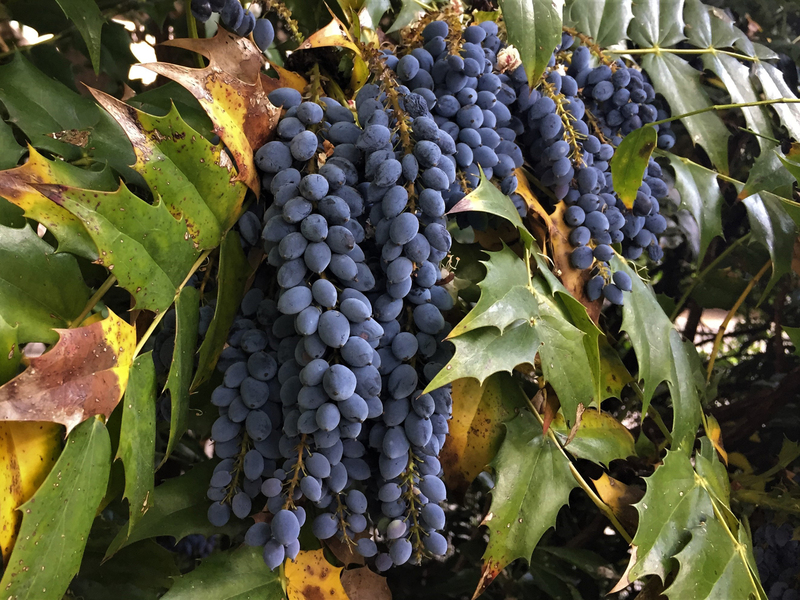 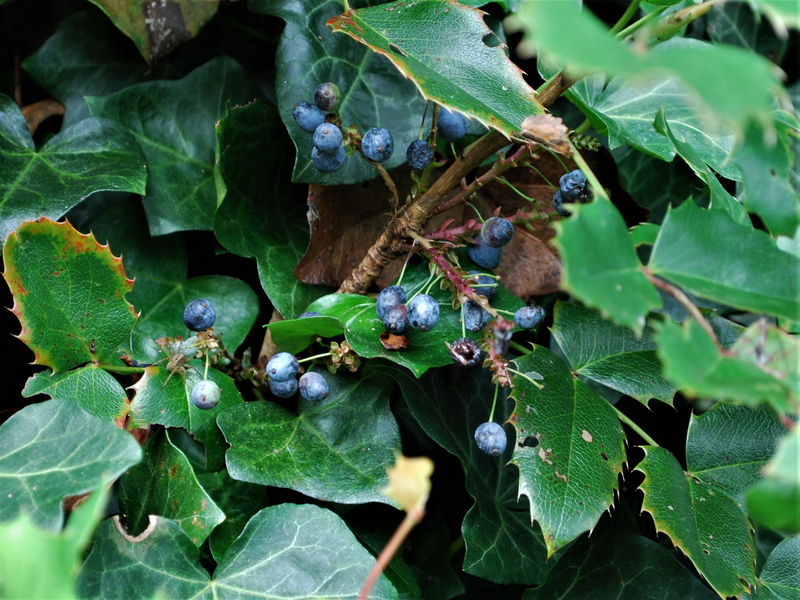 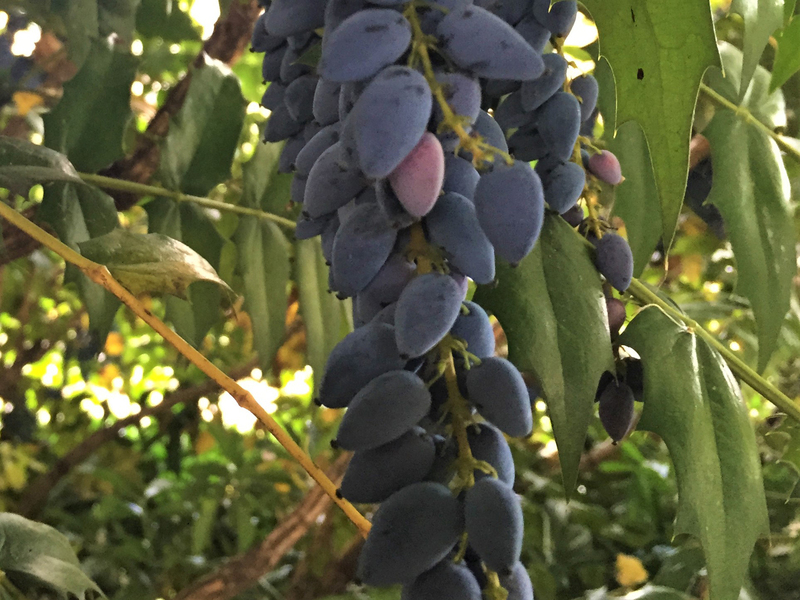 The ripe and abundant fruit from mahonia is tasty but sharp and needs sweetening. 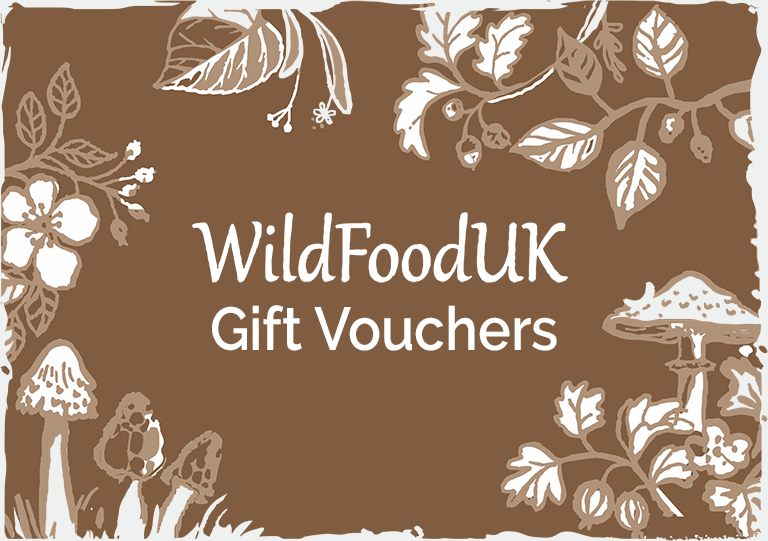 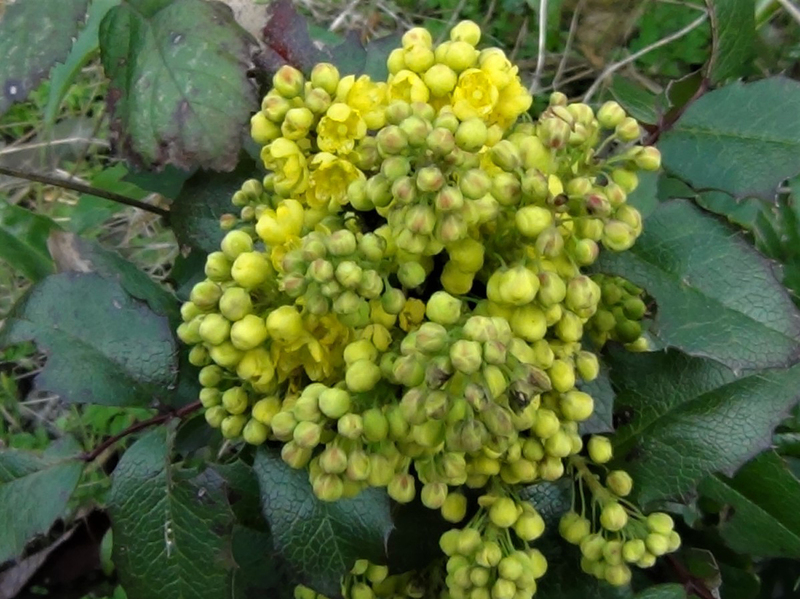 A common member of the Barberry family that can now be found in parks, gardens and some woodland. 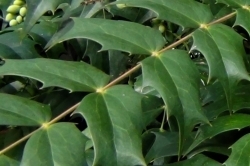 Shiny with sharp spikes, looking just like a holly leaf. 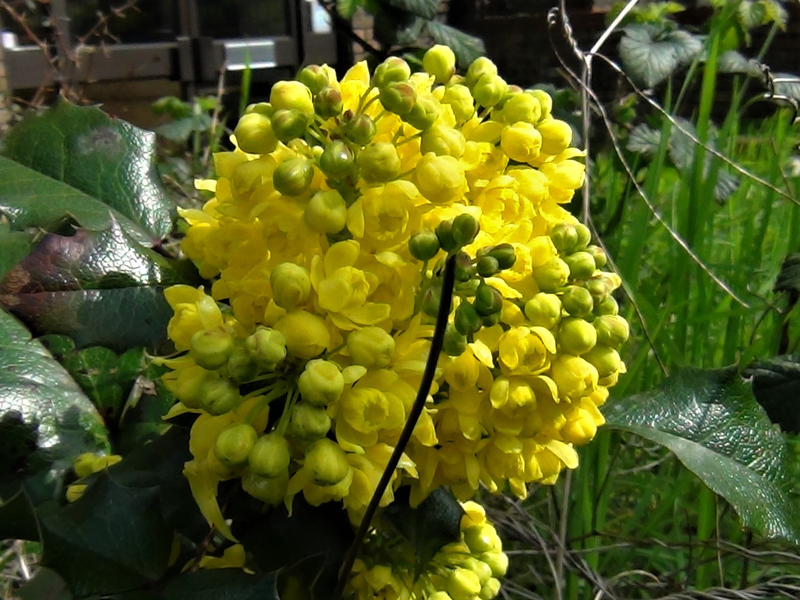 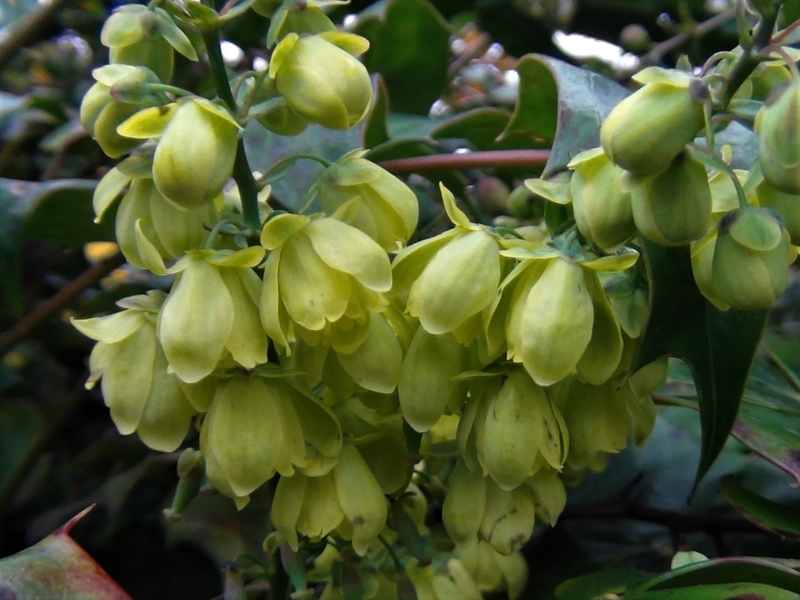 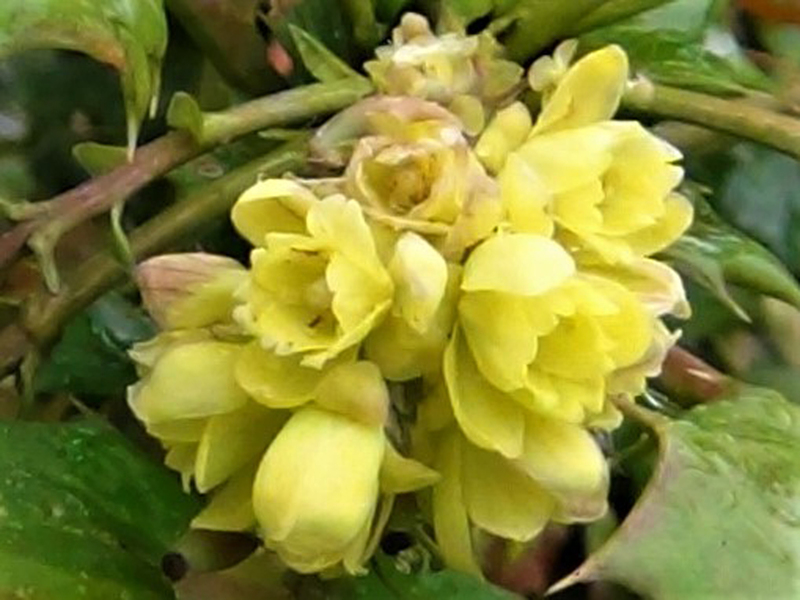 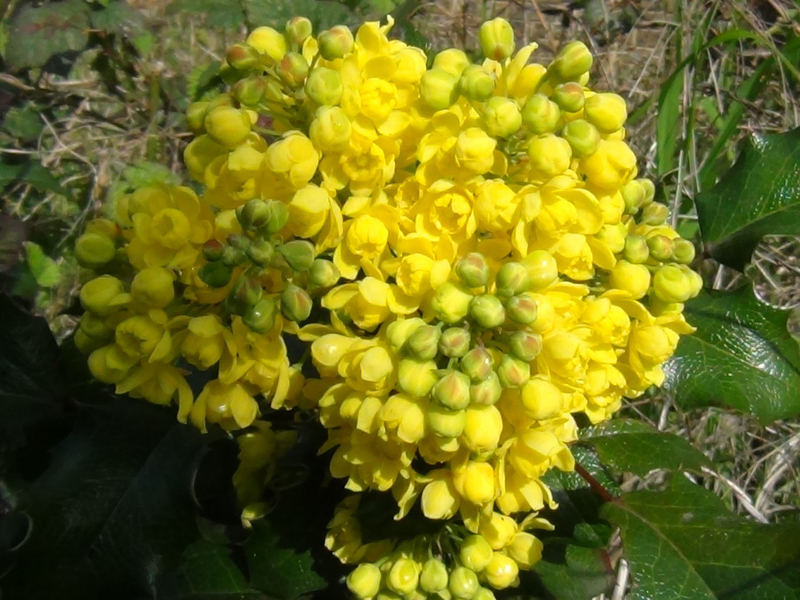 Small bright yellow flowers hanging in dense clusters above the leaves in either Spring, Summer, Autumn or even Winter. 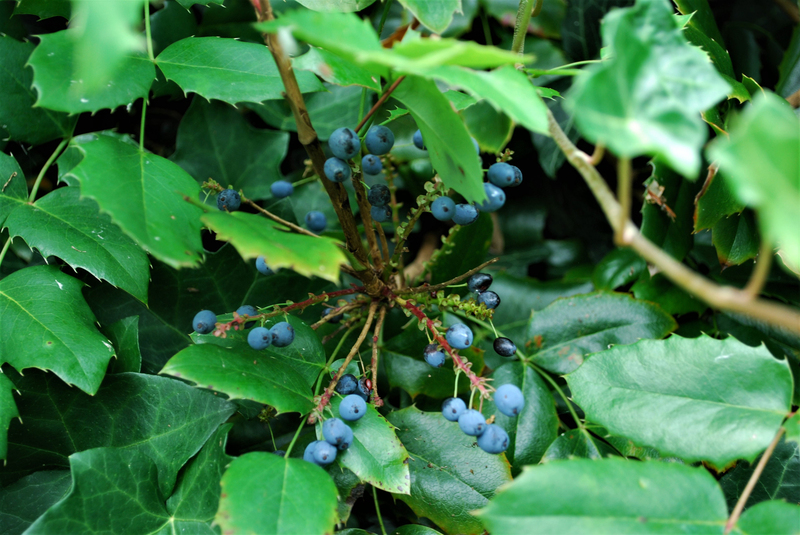 Long clusters of Purple to Black berries covered in a light bloom giving them a blue appearance. 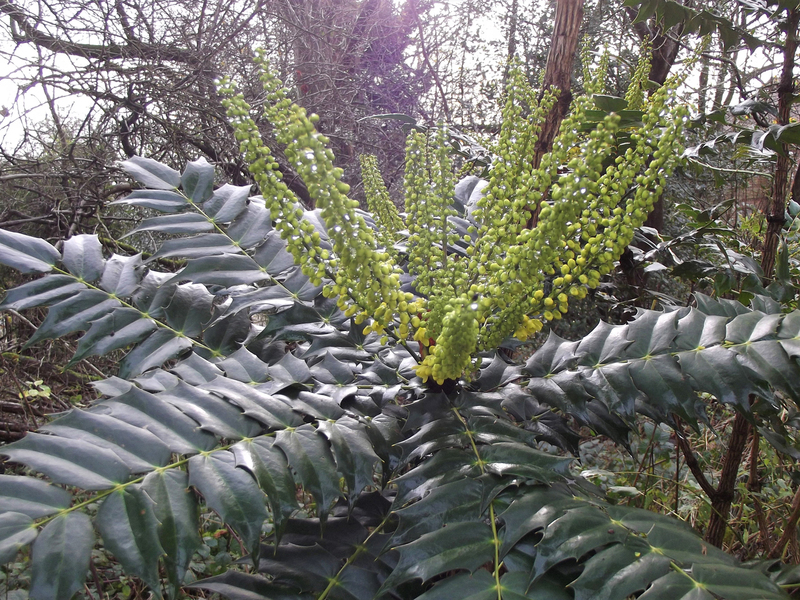 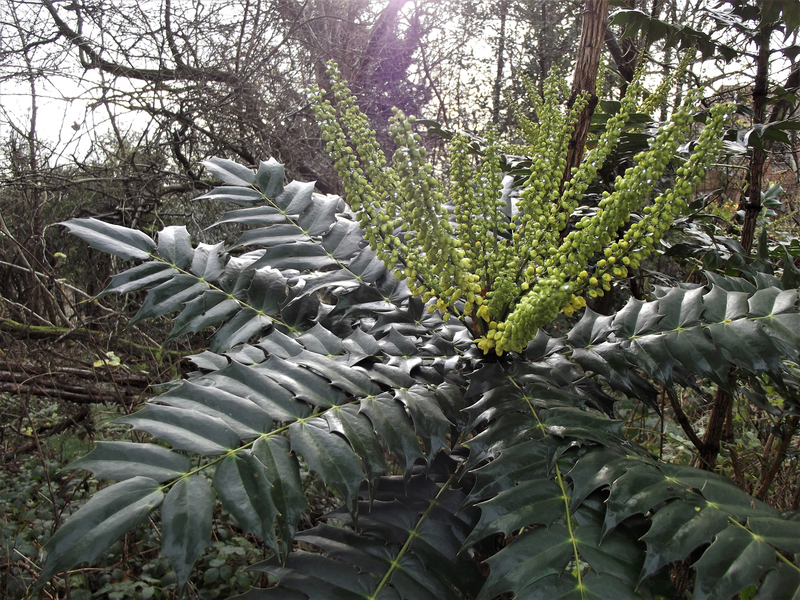 Mainly in gardens and parks but occasionally spread to the wild as this picture of Mahonia in woodland shows. 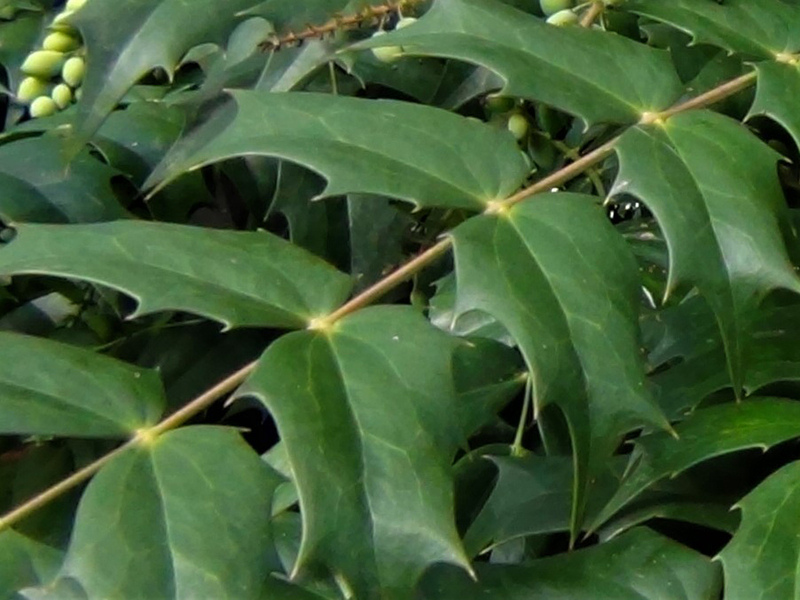 Holly looks similar but the fruits of holly are orange/red. 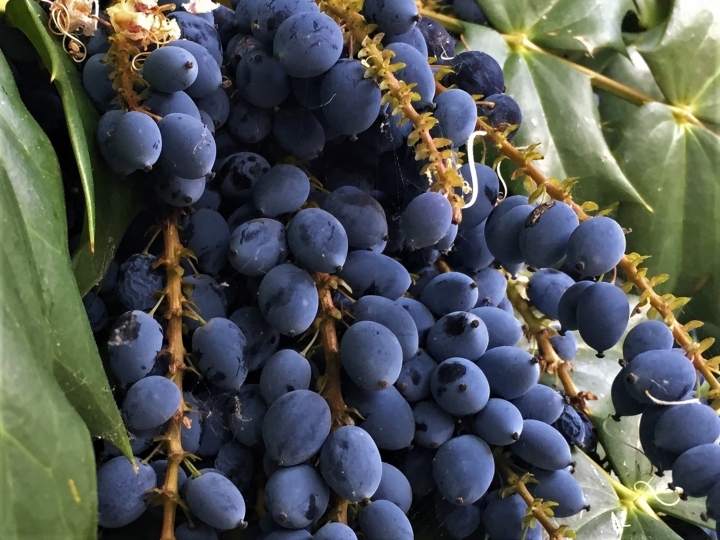 The berries can be very tart but mixed with other sweet berries or with the addition of honey or sugar they are quite delicious. 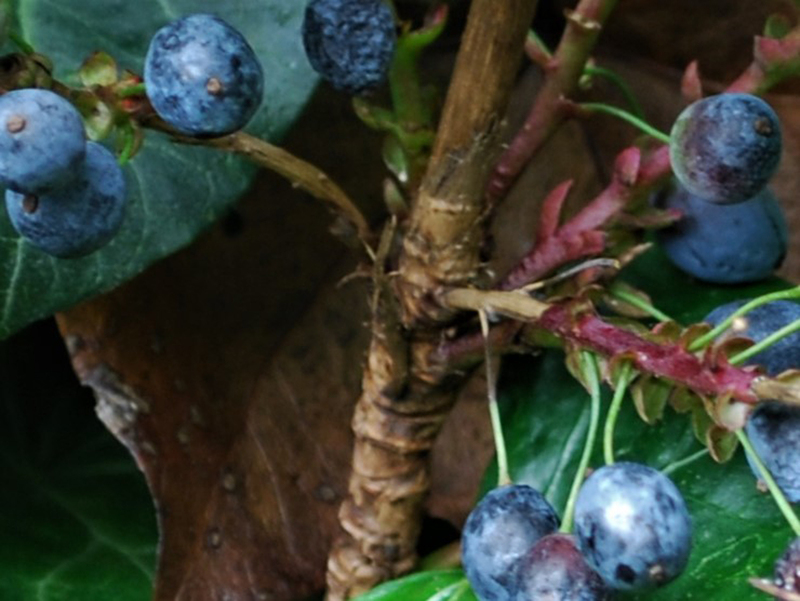 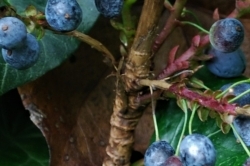 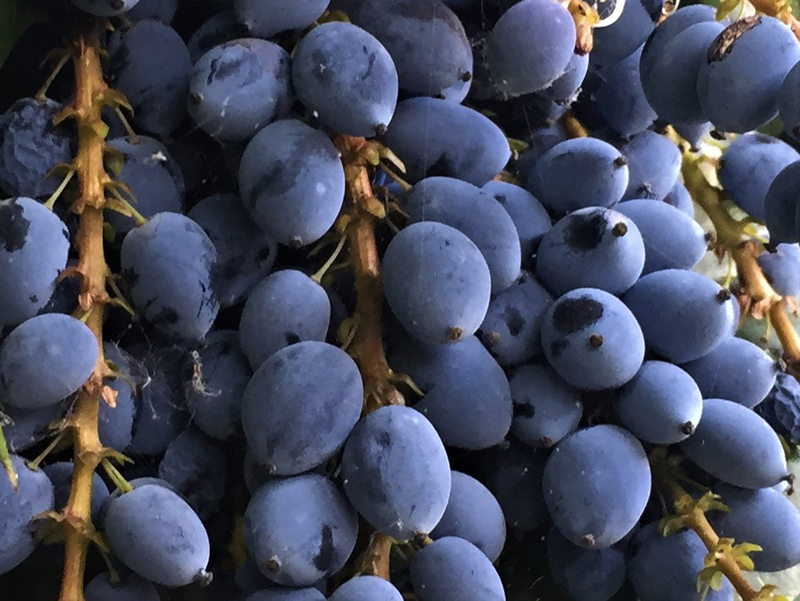 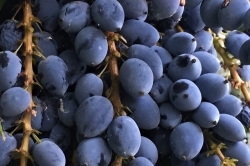 The ripe berries should be very dark blue to black with a white sheen. 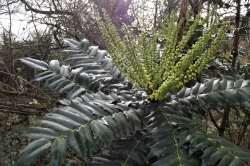 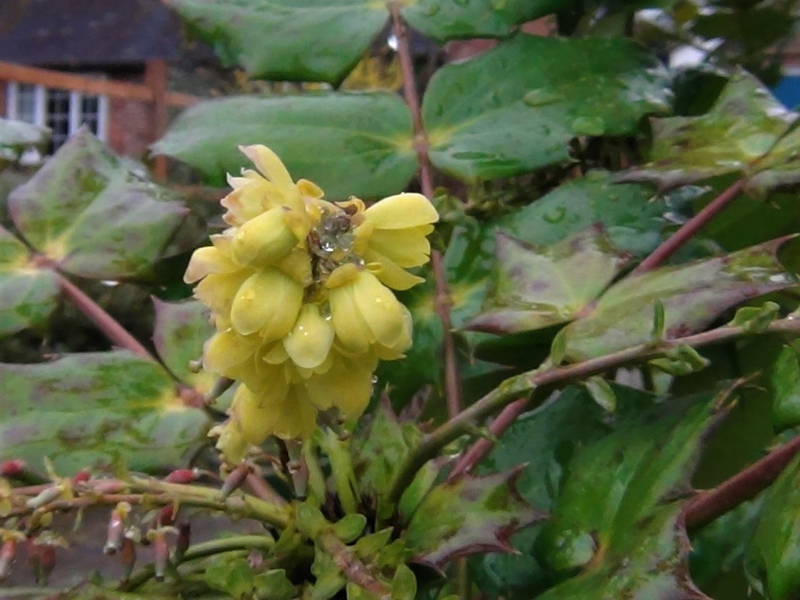 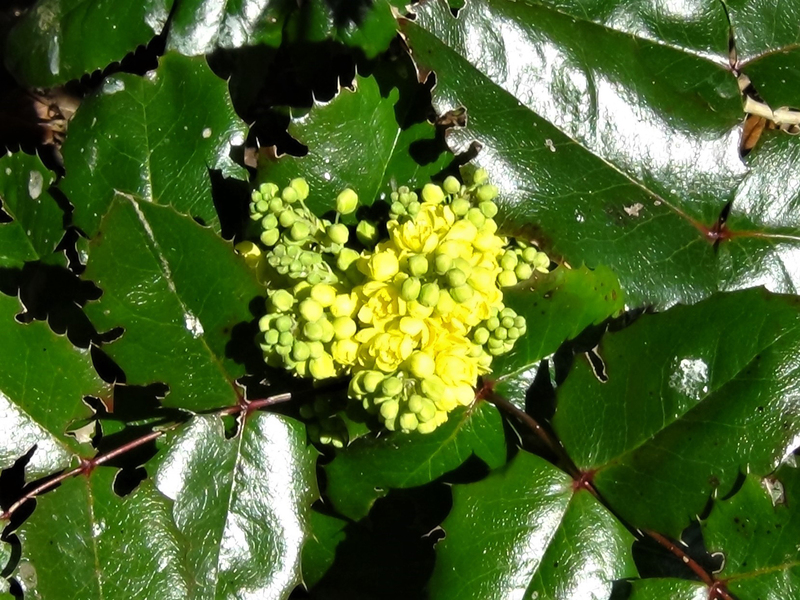 Mahonia has been used to treat eczema and psoriasis but can cause a rash itself and side effects include a burning sensation, hardly a relief from the symptoms of eczema or psoriasis I’d have thought. 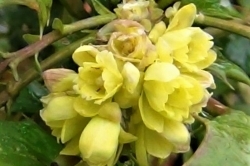 The inner bark and roots can be used to make a yellow dye.